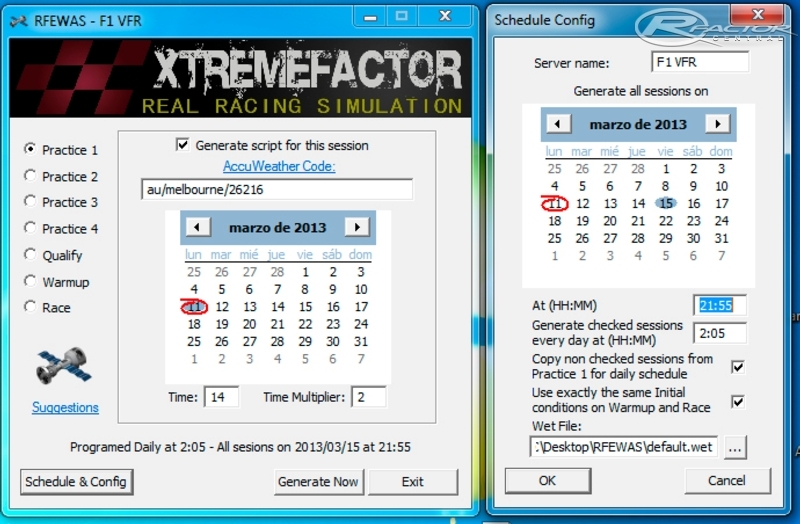 RFEWAS Generates automatically daily scripts for RFE Weather plugin based on the scheduling configuration. Yo can generate only scripts for practices and avoid generating Qualify and Race scripts. This is very usefull if you don't want drivers knows qualify and Race before the day of the race. Hi everyone This is the Spa Francorchamps track with the Bustop Chicane of 2004 and 2005, converted from GTR2 (not by me). Textures were updated to 2005 by myself.